We're particularly excited about this bag – it's petite somewhat lighter weight than our other bags and gorgeously styled. 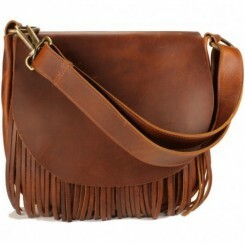 Best of all it coordinates beautifully with several of our moccasin styles. 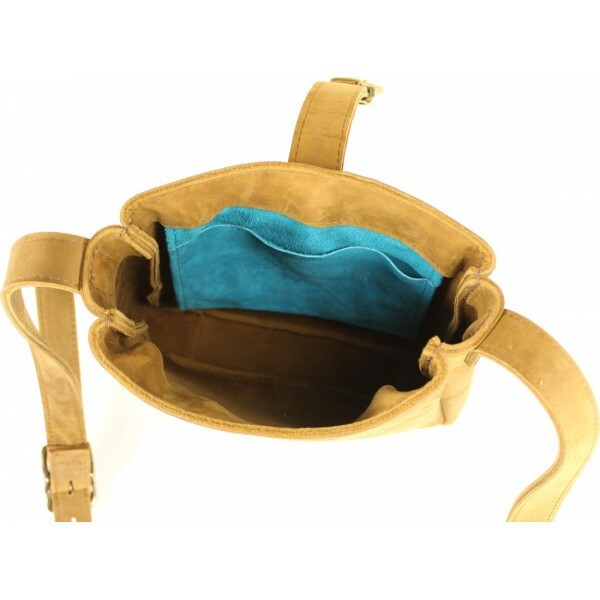 We love the size - it's a smaller bag - but big enough to hold your essentials such as your wallet phone and keys but there's enough spare room for some of the extras - like your sunglasses case makeup and a tin of mints. 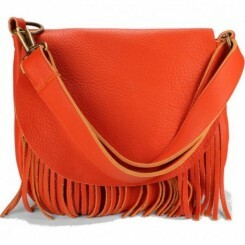 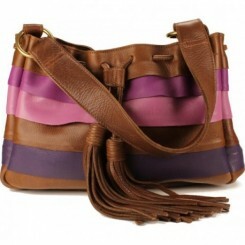 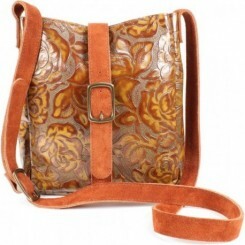 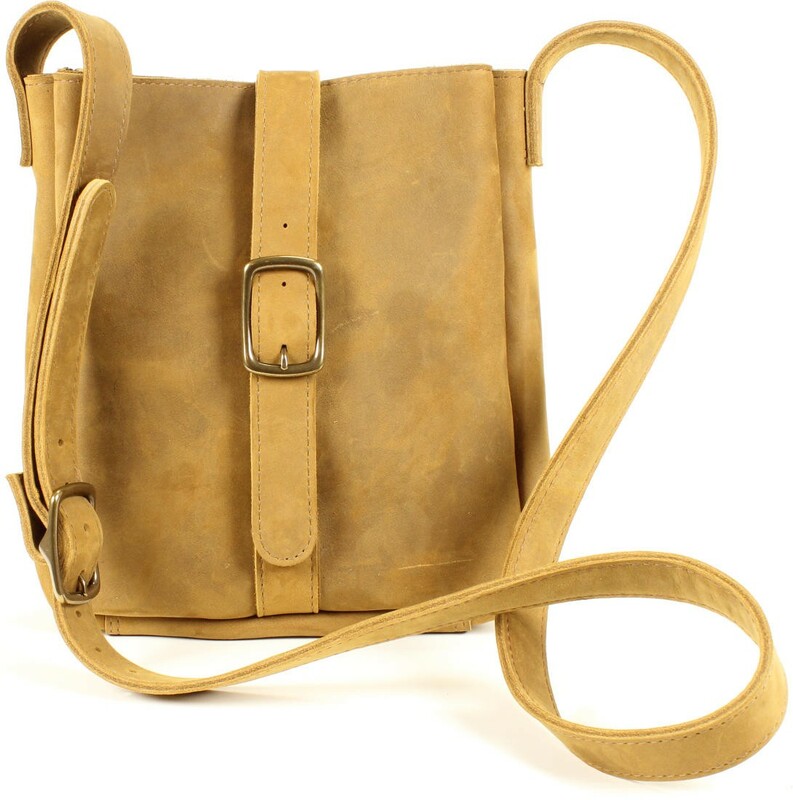 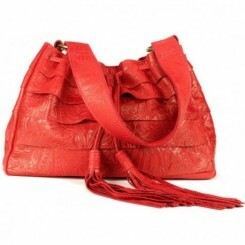 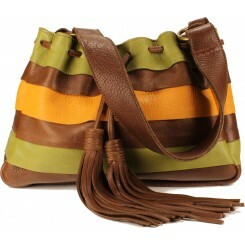 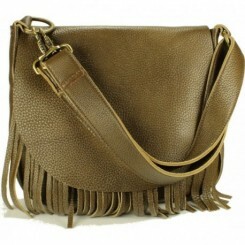 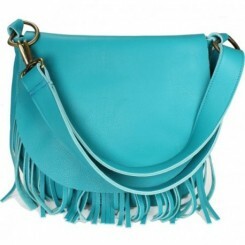 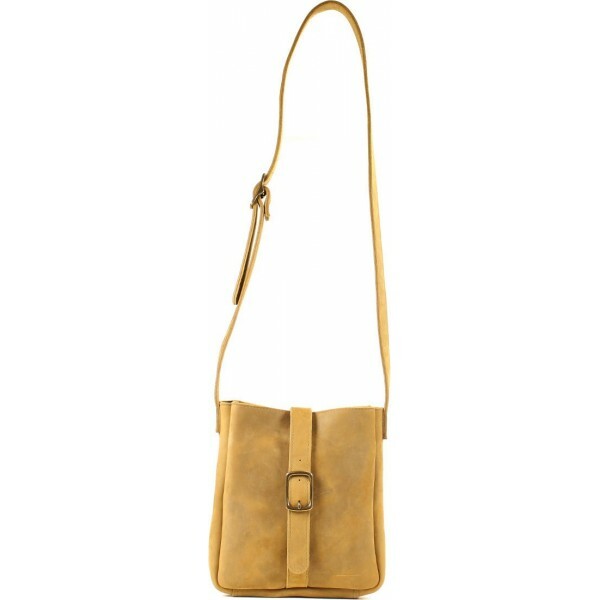 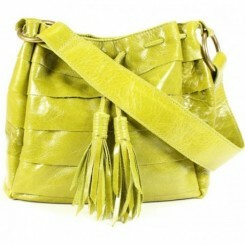 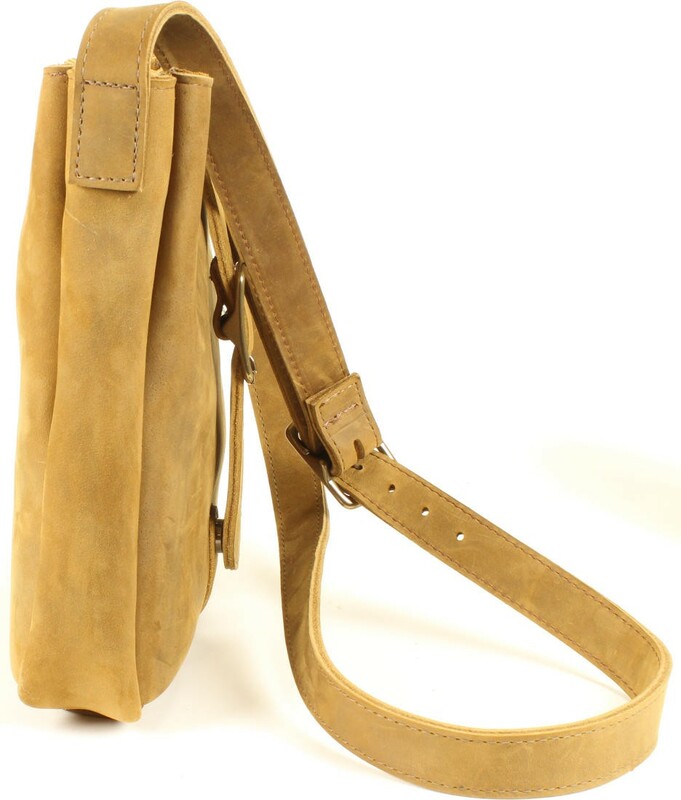 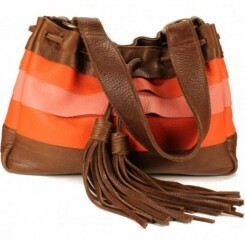 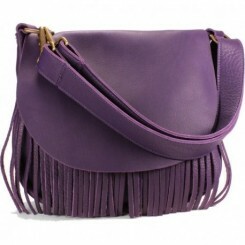 The strap is crossbody-style and is adjustable for length. 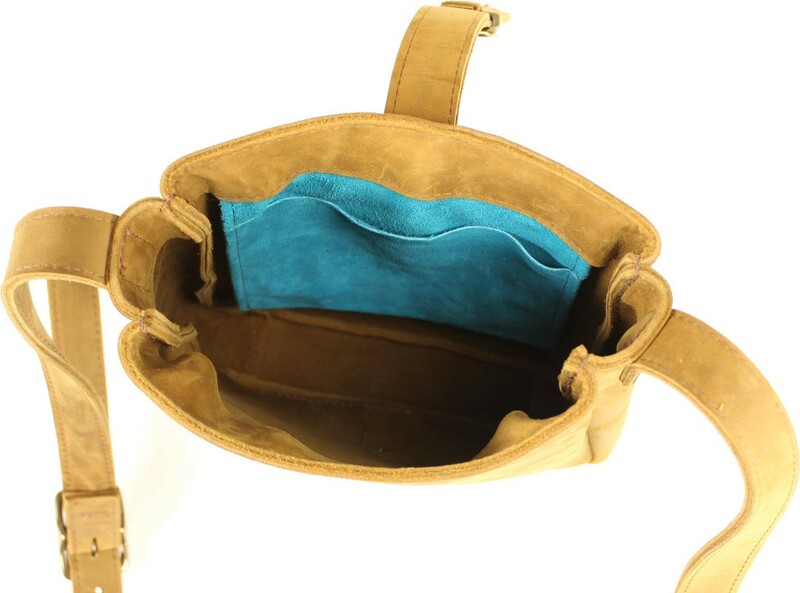 The inside consists of one compartment that includes a side pocket in our signature turquoise color - perfectly sized for your cell phones or keys. 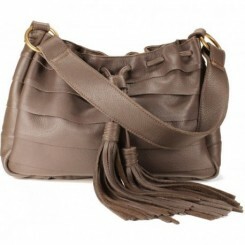 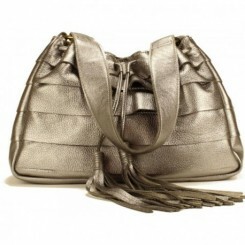 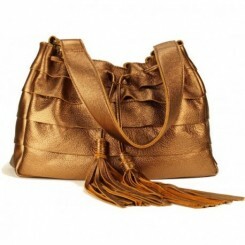 The bag appears to secure with a strap and buckle but it really closes with a discreet magnetic clasp. 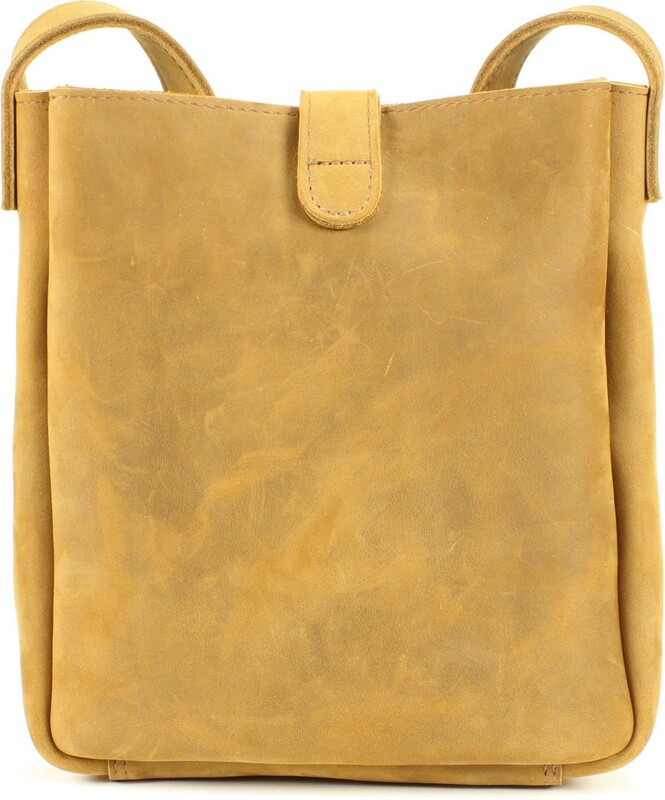 This bag is shown in "Dijon made of a gorgeous nubuck leather - a full grain leather that has been sanded lightly to achieve a velvety finish - both in appearance and to the touch. 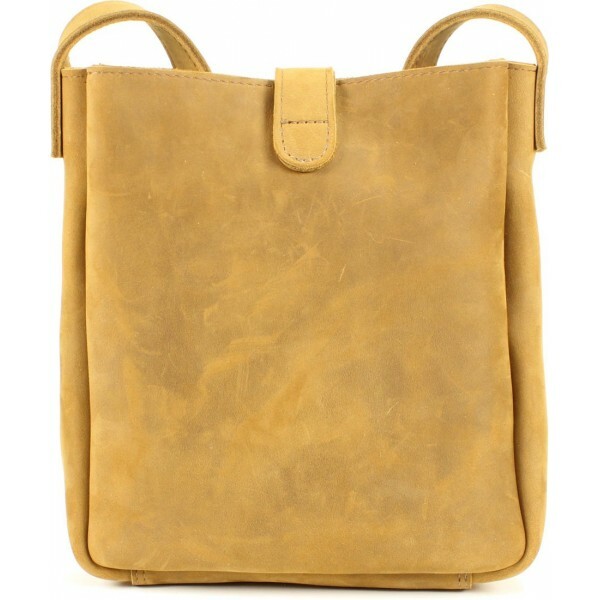 It coordinates perfectly with our women's Cota moc in Ocher which combines the nubuck leather with complimentary full grain and suede leathers. 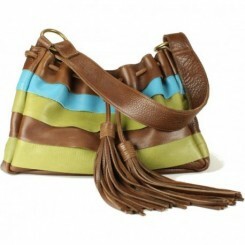 They're handcrafted one at a time, and just like everything else we sell, they're made in the USA! 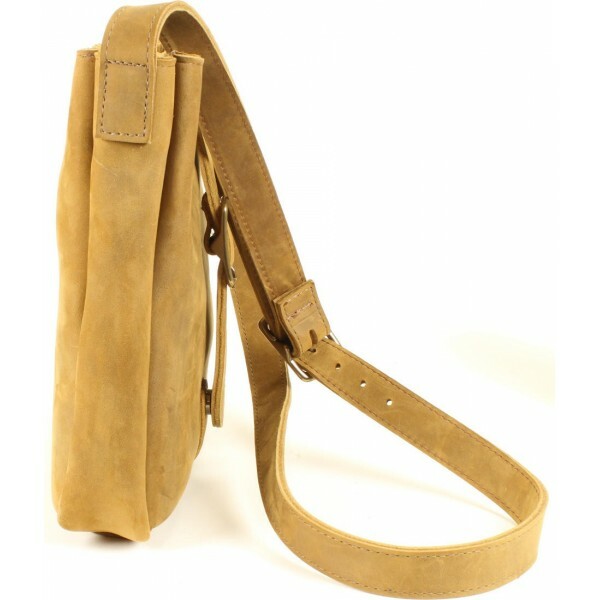 Strap length: Adjustable 44.25 - 49"
Strap drop: Adjustable 21.5" - 24"